A convite de Markus Schmidt, nesta semana organizo a edição brasileira do Bio-Fiction Festival. 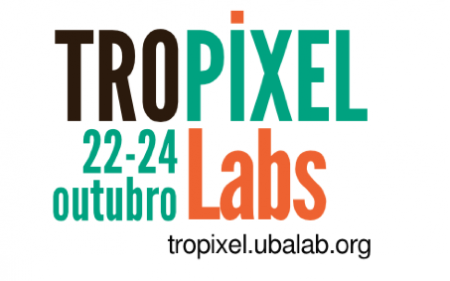 Parte do Tropixel Labs, a mostra explora o campo emergente da biologia sintética a partir de diferentes perspectivas disciplinares incluindo a ciência e engenharia, os estudos culturais, a biologia amadora, e os campos de videomakers, artistas e designers. Abaixo, coloco o programa da mostra e a sinopse de cada vídeo. 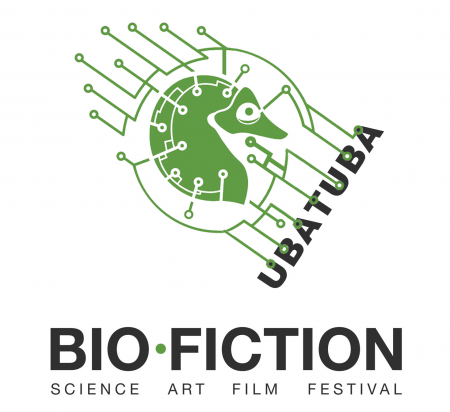 O Bio-Fiction Ubatuba será realizado em dois dias, 22 e 23 de outubro, 19h, no Jardim Cultural (Rua Guarani 345 Ubatuba, SP). Logo após cada seção, realizaremos um debate com Karla Brunet e Laia Barres. The last accepted sighting of a Dodo was in 1662. Gone for over 350 years, its extinction is generally viewed as a flagship example of human-induced extinctions. What if we recre- ated the Dodo again? Could it be the start of a moral redemption of sorts, after centuries of destroying biodiversity in uncountable ways? This highly entertaining animation explores what could happen if the Dodo were to be resurrected. The development of biotechnologies, will also lead to a fundamental change in industrial production. “Copy and Clone” discusses an extremely serious subject with a side order of humour: the animation displays the effects of biotechnologies on animal food industries through the window of a computer. What hap- pens when the “copy and paste” commands of our devices step into real life? What if food were consumed alive, as a fictional character? What if food was able to play with our cutlery or create hyper-sensa- tions in our mouth? In this film, dishes are living, moving, created things, beautiful and stomach-churning at the same time. Eugene Bennett is a geneticist who has an obsession with the strength of his genetic family tree. He counsels couples on whether it’s safe to reproduce while trying to protect his own bloodline from incompatible genetic material. That is until his younger brother brings a girl to Thanksgiving dinner hoping to build up the courage to propose to her before Eugene scares her away with his attempts to collect her DNA. “Her husband thought the shining trees were spooky. Awful christmas days now seemed to last the whole summer.” Synthetic biology will offer a world of possibilities. One of these is de- veloping light emitting trees that could serve as a sustainable alternative for street lamps. This animation paints a picture of what a future with bioluminescent street lamps could look like. In a 1960s talk show a scientist discusses the future possibility of indefinite human life. In the meantime we see his memories of a short love affair. Creating a mixture of animation, photorealism and visual aesthetics from the 60s, Brentjes takes us on a nostalgic journey into the past to explore our future. “New Mumbai” chronicles the fictional journey of a documentary filmmaker to the Dharavi slums of India, to film a strange phenomenon involving genetically engineered mushrooms. Created in Amsterdam, the mushrooms were taken to India by a gang, in the vain hope that they could be used as narcotics. The collective drive and expertise of the refugees managed to turn these fungal samples into a new type of infrastructure providing heat, light and building material for the refugees. Dharavi rapidly evolved its own micro-economy based around the mushrooms. Have you ever heard about spider goat? It’s just like Spiderman, but it’s a goat, and it produces a strong silk that can be used in making bullet-proof vests. The vast development of synthetic biology brings an amazing number of innovative applications, and Indonesia, located in the most biologically diverse region on the planet, is wellplaced to explore the possibilities. “Zero Park” is a narrative film that focuses on a fictitious landscape in northern California. Here, the flora and fauna have been restored to their natural state of wilderness, and the viewer is faced with nature’s beauty. Yet, the longer one listens to the voice of the narra- tor, the more it becomes apparent that what on first glance looks like a natural landscape, may in fact be artificial. “Syn Bio Ads” is a speculative project around unsolved questions of Synthetic Biology like: Who owns Nature? Who has the right to alter life? How much is nature worth? What hap- pens if we treat DNA like pixels, and a swarm of birds becomes suddenly just an efficient display for advertising? Two short clips aim to show the implications of these high-level questions on everyday life. Rapid developements in life sciences could enable us to break the borders between species. In times of human overpopulation, transspecicism becomes a game changer for species conservation. The Parisian flaneur of the 19th century is an urban explorer who wanders around the city, discovering new relationships and stories. The “BioFlaneur” is his modern equivalent, set in the future, who uncovers modern sto- ries through bacteria sample scans taken on the city’s surfaces. This short flm is inspired by the fields of microbiology and synthetic bi- ology and speculates about a future where in- visible biological data of spaces and humans is uncovered. Will anything change in our understanding of privacy in public spheres when what’s invisible becomes visible? What if artificially intelligent bacteria could be connected to build communicating popula- tions? Could we make bacterial computers? In this charming animation, Brian the Bacterium provides a possible answer. A journey across Glasgow’s life expectancy sta- tistics to the East End, where the city is blighted by some of the lowest life expectancies in the world. Could the cause for it lie in our genes? Or is it perhaps much simpler than that? “East End Journey” presents a touching and sensitive look at the ways in which social inequalities are played out in our health and life expectancy. We set out with a small team of biologists, naturalists and filmmakers and ventured deep into the forest of Little Barrier Island, New Zealand. What we found was beyond our expectations. A secluded valley inhabited by a distinctive biodiversity of animal, fungal and plant life, never before seen. After years of investigation, a group of European scientsts have discovered that the vulgarly called “arseholes” are actually people suffering from a genetic mutation that conditions their behaviour. This discovery has opened a door that allows us to end the unfair stigmatization this group of patients have been subjected to. Because arseholes… are just sick people.